IITA recently affirmed compliance with international publishing standards and legal depository obligations. All IITA publications carry an International Standard Book Number (ISBN) for books, reports, monographs, and e-publications or an International Standard Serial Number (ISSN) for serial publications such as newsletters, journals, and series of publications. In addition, IITA requires 10 copies of every publication for legal deposit within Nigeria; three from the National Library of Nigeria based on the National Library Decree of 1970, two for the State Library, and five for our Knowledge Center. This cost is borne by the author/publisher. 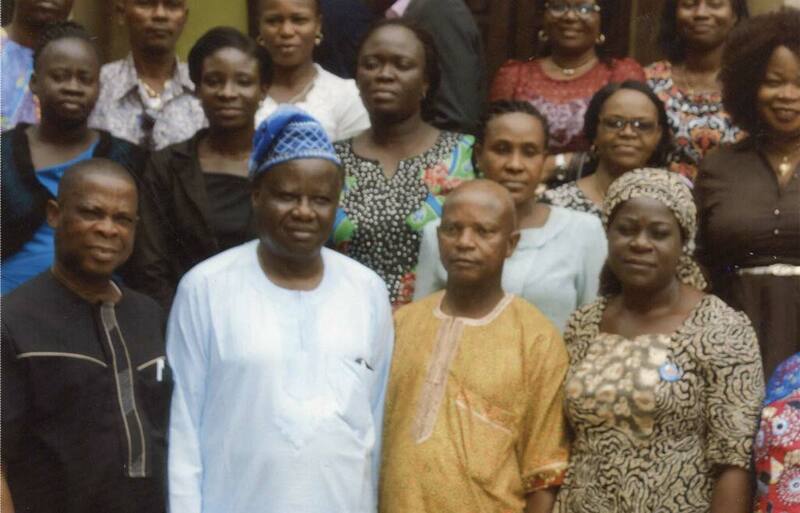 Librarian Louis Anajekwu with Prof Aina (wearing cap) and other delegates. 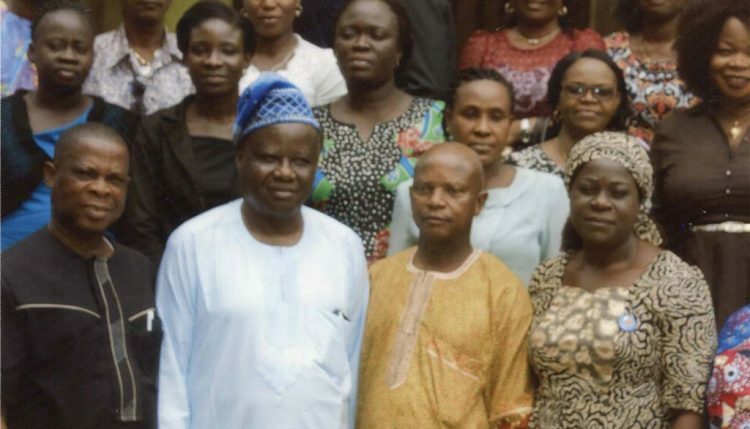 The Federal Government of Nigeria has taken steps towards ensuring that such global standards are maintained in the publishing industry in Nigeria, including enforcing the compulsory deposition of published materials with the National Library of Nigeria (NLN). The major mandate of the NLN is to serve as the memory of the nation, by collecting all publications emanating from Nigeria, publications about Nigeria, and any authored by Nigerians anywhere in the world. Recently, NLN held one in a series of sensitization workshops on legal deposit/ISSN & ISBN with the theme: International standards for Publishing and Legal Deposit Compliance in Nigeria for the southwestern zone of the country in Lagos on 15 and 16 November. Participants included stakeholders in the publishing industry with papers presented by librarians, publishers, booksellers, academics, and printers who highlighted their peculiar challenges in legal compliance. IITA was represented by the Communication Unit and the Knowledge Center. The ISBN numbering system is used worldwide by publishers to identify their work with a standardized 13-digit format. The ISSN is an eight-digit serial number used to uniquely identify a serial publication and is especially helpful in distinguishing between serials with the same title. Copies of all literary works and non-book materials including videos, films, and electronic publications are expected to be deposited. At the moment, the NLN does not have a repository for e-books, so hard copies need to be sent.